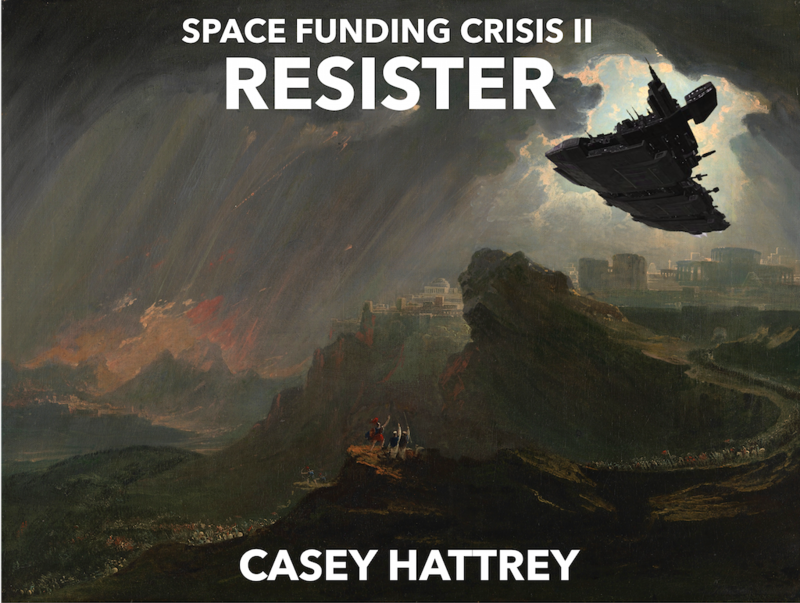 In 2016, Casey Hattrey combined literary genres that had long been kept far apart from each other: science fiction, academic funding applications and cultural evolution theory. Space Funding Crisis I: Persister was a story that tried to “put the fun in academic funding application and the itch in hyper-niche”. It was criticised as “unrealistic and too centered on academics to be believable” and “not a very good book”. Dan Dediu’s advice was “better not even start reading it,” and Fiona Jordan’s review was literally a four-letter word. Still, that hasn’t stopped Hattrey from writing the sequel that the title of the first book tried to warn us about. Space Funding Crisis II: Resister continues to follow the career of space linguist Karen Arianne. Just when she thought she’d gotten out of academia, the shadowy Central Academic Funding Council Administration pulls her back in for one more job. Or at least a part-time post-doc. Her mission: solve the mystery of the great convergence. Over thousands of years of space-faring, human linguistic diversity has exploded, but suddenly people have started speaking the same language. What could have caused this sinister twist? Who are the Panini Press? And what exactly is research insurance? Arianne’s latest adventure sees her struggle against ‘splainer bots, the conference mafia and her own inability to think about the future. To say that this was the “difficult second book” would give too much credit to the first. Hattrey seems to have learned nothing about writing or science since the last time they ventured into the weird world of self-published online novels. The characters have no distinct voice, the plot doesn’t make much sense and there are eye-watering levels of exposition. In the appendix there’s even an R script which supports some of the book’s predictions, and even that is badly composed. Even some of the apparently over-the-top futuristic ideas like insurance for research hypotheses are a bit behind existing ideas like using prediction markets for assessing replicability. If there is a theme between the poorly formatted pages, then it’s emergence: complex patterns arising from simple rules. Arianne has a kind of spiritual belief in just reacting, Breitenberg-like, to the here-and-now rather than planning ahead. Apparently Hattrey intends this to translate into a criticism of the pressures of early-career academic life. But this never really materialises out of the bland dialogue and insistence on putting lasers everywhere. Still, where else are you going to find a book that makes fun of the slow science movement, generative linguistics and theories linking the emergence of tone systems to the climate? Resister is available for free, including in various formats, including for kindle, iPad and nook. The prequel, Persister is also available (epub, kindle, iPad, nook). This is a guest post from Aleksandrs Berdicevskis about the workshop Measuring Language Complexity. A lot of evolutionary talks and papers nowadays touch upon language complexity (at least nine papers did this at the Evolang 2016). 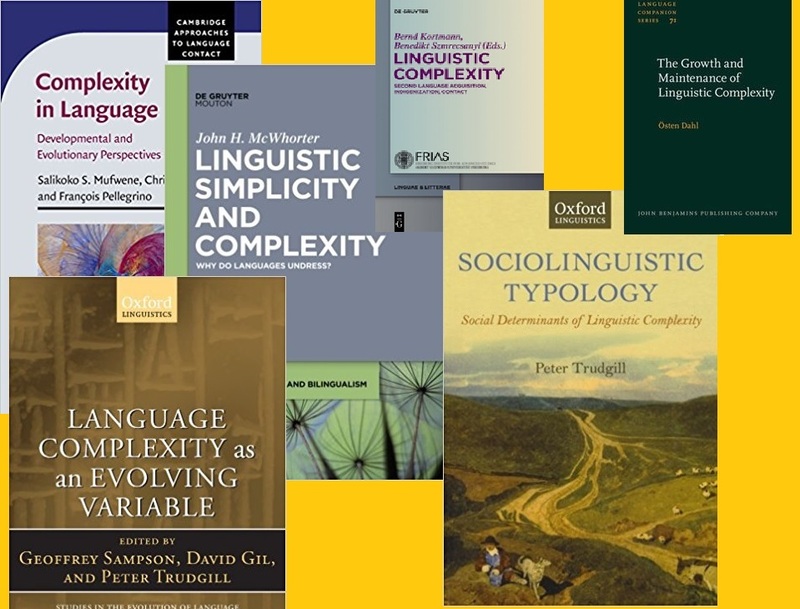 One of the reasons is probably that complexity is a very convenient testbed for testing hypotheses that establish causal links between linguistic structure and extra-linguistic factors. Do factors such as population size, or social network structure, or proportion of non-native speakers shape language change, making certain structures (for instance, those that are morphologically simpler) more evolutionary advantageous and thus more likely? Or don’t they? If they do, how exactly? Recently, quite a lot has been published on that topic, including attempts to do rigorous quantitative tests of the existing hypotheses. One problem that all such attempts face is that complexity can be understood in many different ways, and operationalized in yet many more. And unsurprisingly, the outcome of a quantitative study depends on what you choose as your measure! Unfortunately, there currently is little consensus about how measures themselves can be evaluated and compared. To overcome this, we organize a shared task “Measuring Language Complexity”, a satellite event of Evolang 2018, to take place in Torun on April 15. Shared tasks are widely used in computational linguistics, and we strongly believe they can prove useful in evolutionary linguistics, too. The task is to measure the linguistic complexity of a predefined set of 37 language varieties belonging to 7 families (and then discuss the results, as well as their mutual agreement/disagreement at the workshop). See the detailed CfP and other details here. So far, the interest from the evolutionary community has been rather weak. But there is still time! We extended the deadline until February 28 and are looking forward to receiving your submissions! As mentioned in this blog before, evolutionary thinking can help the study of various cultural practices, not just language. The perspective of cultural evolution is currently seeing an interesting case of global growth and coordination – the widely featured founding of the Cultural Evolution Society (also on replicatedtypo), the recent inaugural conference and follow-ups are bringing a diverse set of researchers around the same table. If this has gone past you unnoticed – there’s nice resourcesgathered on the society website. Evolutionary thinking seems useful for various purposes. However does it work the same everywhere, and can research progress in one domain be easily carried over to another? We invite contributions from cultural evolution researchers of various persuasions and interests to talk about their work and how the evolutionary models help with that. Deadline for abstracts on Feb 14. Discussion of individual contributions will hopefully lead to a better understanding of commonalities and differences in how cultural evolution is applied in different areas, and help build an understanding of how to most productively use evolutionary thinking – what are the prospects and limitations. We aim to allow for building a common ground through plenty of space and opportunities for formal and informal discussion on site. – What do you get out of cultural evolution research? – How should we best apply evolutionary thinking to culture? – What matters when we apply this to different domains or timescales? Full call for papers and information on the website. Also available as PDF. The deadline for the 2nd XLanS conference on Triggers of Change in the Language Sciences has extended its submission deadline to June 14th.